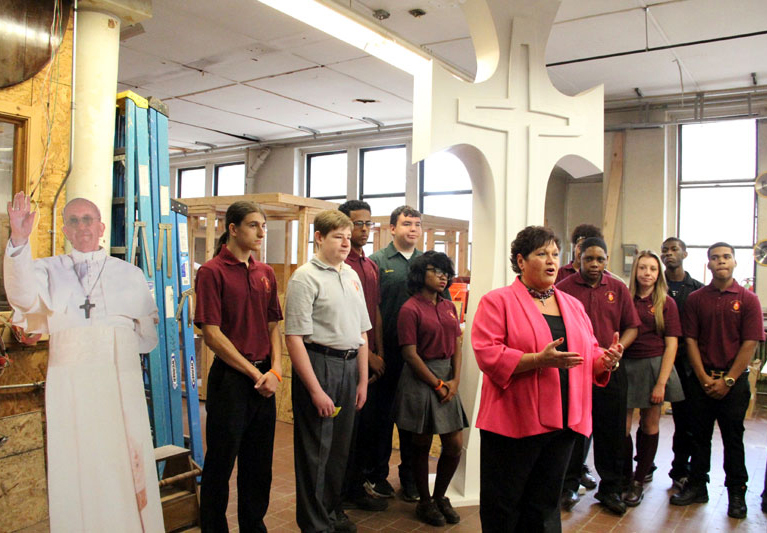 The World Meeting of Families and Mercy Vocational High School unveiled the Mercy Prayer Cross designed and constructed for the World Meeting’s Youth Congress on Monday, Aug. 31. 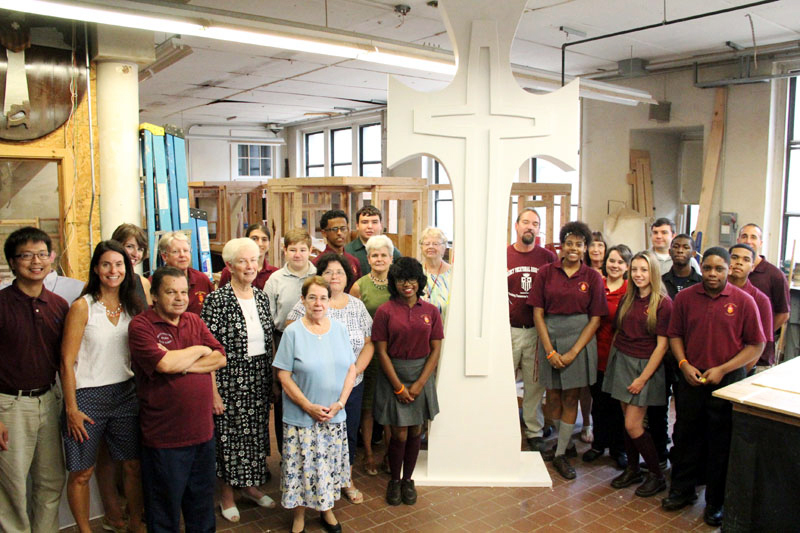 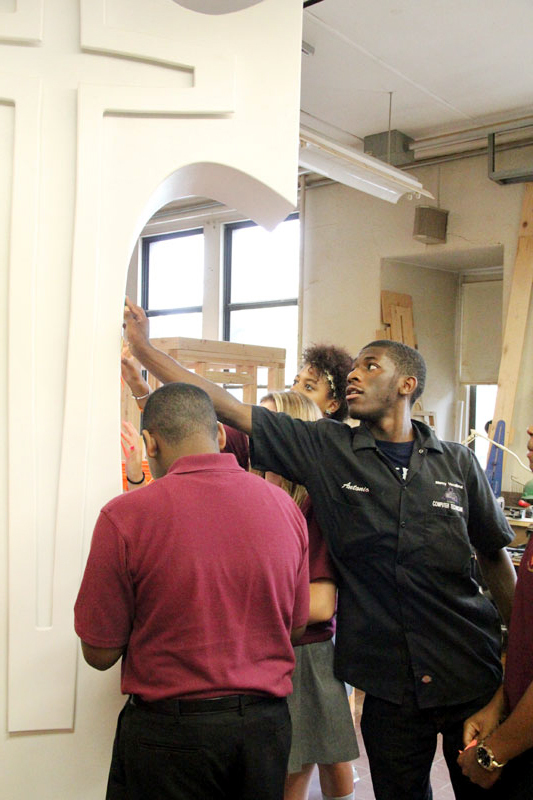 The 10-foot high white cross was built by Mercy Vocational’s carpentry teacher Steve Hove and his students. 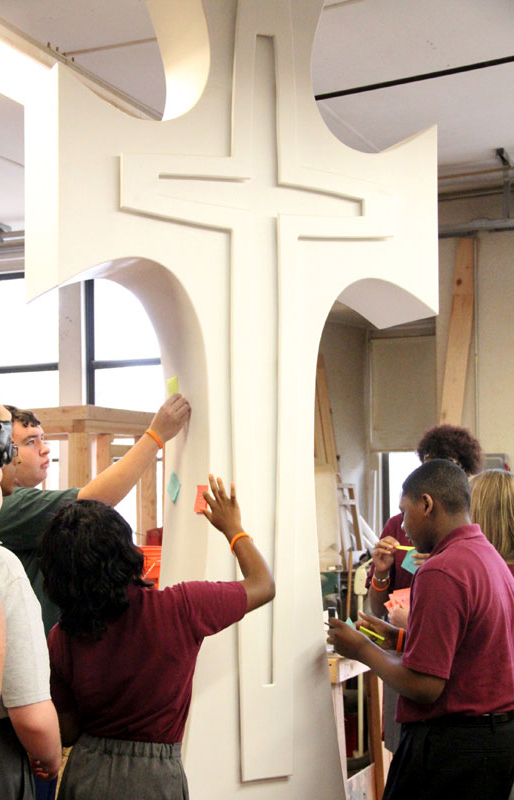 During the youth congress, participants will write notes of love and petition to Jesus on colorful pieces of paper, which will then be adhered to the sides of the cross, creating an ever-growing testament to the virtues of love and the power of prayer. 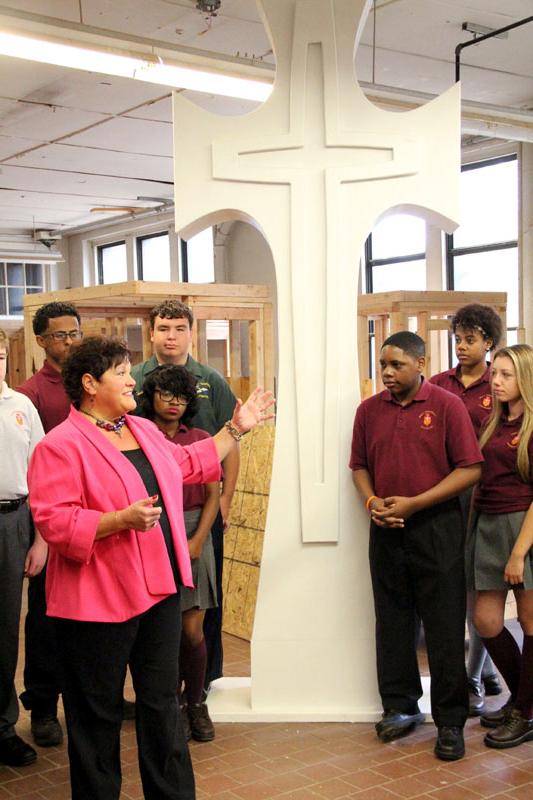 Maria Carmel Richardson, youth director for the World Meeting of Families, talks about the significance of the cross, which is surrounded by students of Mercy Vocational School who built the cross for the youth congress. 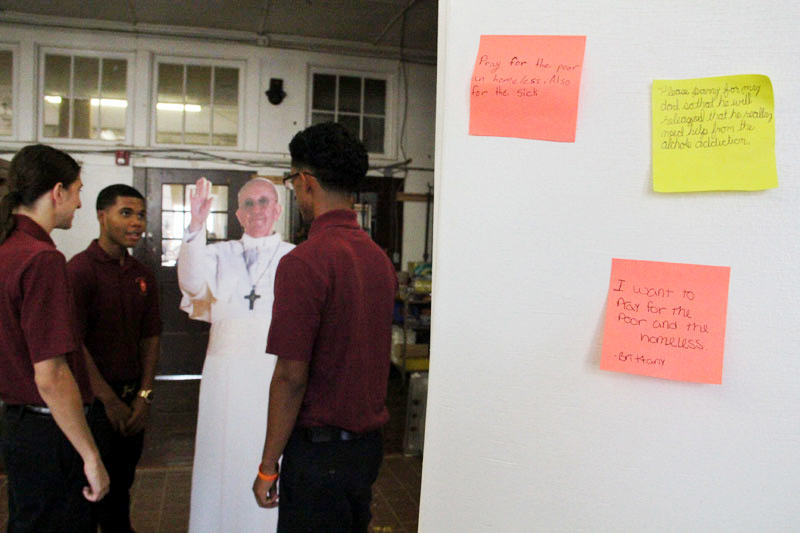 Students attach the first of many notes and prayers that other youths will also write for the cross during the youth congress at the World Meeting of Families Sept. 22-25.